Uber is asking a federal court that most of the claims of a lawsuit filed by rival self-driving car developer Waymo should be settled through arbitration, a process that is usually private, and cheaper and faster than a federal lawsuit. The ride-hailing company is referring to Waymo’s own arbitration proceedings against a former engineer who later joined Uber as the basis for its argument in favor of arbitration to resolve the dispute. Waymo filed a suit last month in the U.S. District Court for the Northern District of California, alleging that the former employee Anthony Levandowski stole trade secrets relating to self-driving cars before leaving to start Otto, a self-driving trucking company that was later acquired by Uber. Other former Waymo employees who left for Uber and Otto were also found downloading sensitive files, Waymo alleged. “Waymo’s trade secret and unfair competition claims must be referred to arbitration because they arise out of, relate to, and result from Levandowski’s employment,” Uber has submitted in a filing on Wednesday. The employment agreements Waymo signed with Levandowski require arbitration of all disputes “with anyone” that arise out of, relate to, or result from Levandowski’s employment, according to the filing. Levandowski has been mentioned frequently by name in Waymo’s filings including its amended complaint and his alleged conduct as a Waymo employee is the core for the Alphabet unit's trade secrets and unfair competition claims, according to the filing. Waymo does not name Levandowski as a defendant even though it has brought the arbitration claims against him, aiming instead to litigate them in the court, Uber said. 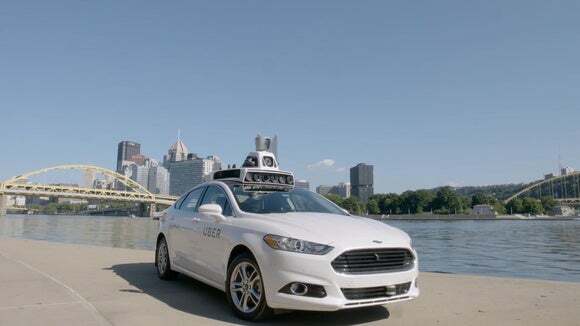 The Alphabet unit has alleged in its complaint that Uber got a head start by pilfering its technology, building its own comparable LiDAR system within nine months. Before he quit, Levandowski led a team of Waymo engineers who developed LiDAR technology for its self-driving car project, according to court documents. Waymo also alleged in the suit that Uber has infringed two of its patents. Waymo could not be immediately reached for comment after business hours. The self-driving vehicles unit was set up as separate company from Google under the Alphabet umbrella in December last year. In October 2016, Waymo filed two arbitration demands against Levandowski, claiming that he took and improperly used Waymo’s confidential information to assist Uber, the ride-hailing company claims in its filing. One of the demands related to the alleged use by Levandowski of confidential employee salary information to make targeted offers to Waymo’s employees, while the second held that Levandowski improperly used Waymo’s confidential information to induce its employees to join a competitor. Basing its action on the arbitration provisions in Levandowski’s employment agreements, Uber plans to initiate this week arbitration proceedings, seeking a declaratory judgment that Waymo’s claims that Uber misappropriated trade secrets and violated unfair competition law are without merit. Uber has asked the court to stay Waymo’s trade secret and unfair competition claims if it decides they have to be settled by arbitration, but should let the remaining claims such as the patent infringement charges proceed in the court.